Year 4’s Roman army had foot drill practice today in The Hemery Hall with the Headmaster. 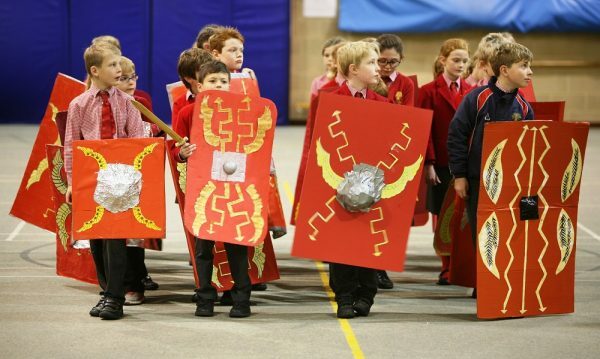 The children enjoyed carrying their Roman shields which they have designed and made. Mr Sibson put them through their paces in Latin! Officium bene factum!